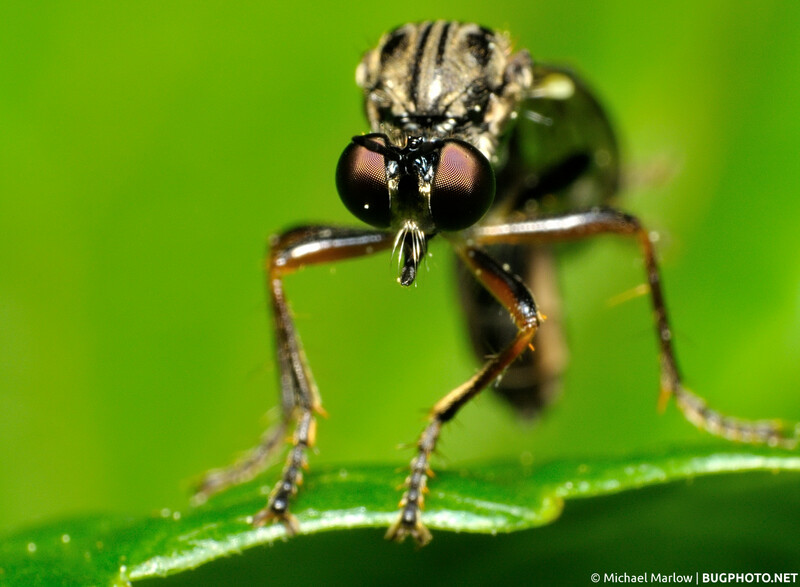 Robber flies must be a hulking menace to their smaller, weaker prey. Robber flies are efficient, masterful predators among insects, able to pick off prey “on the wing” (i.e. in mid-flight). I would imagine they are pretty intimidating to a targeted bug — if it has time to see the robber coming! Posted in Robber FliesTagged Asilidae, bug portrait, Dioctria, hulk, Macro Photography, predator, robber flyBookmark the permalink.